Few things made me happier this week than walking into a home and seeing hugs and hearing welcomes between old friends. This week in Dokur, a rural village that ICRISAT has been working with since 1975, I got to see that just about four times a day. Dora and I said goodbye to our other team members, who travelled to another village, and set out for Dokur for a week. 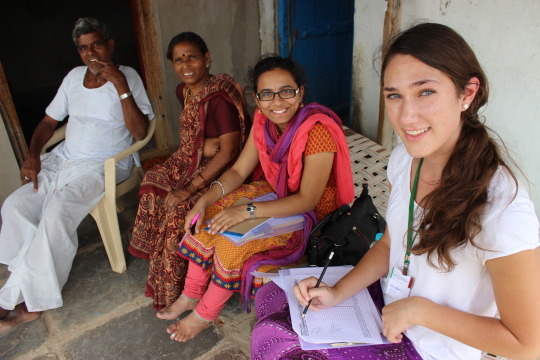 In order to collect data about the dietary diversity of villagers in rural India, each TCi team member conducted household interviews. 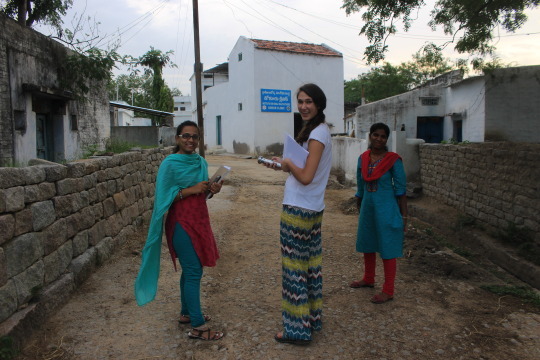 Each team member was also paired with an enumerator who had worked in the village for an extended period of time. Dora and I were paired with Swati and Vidya respectively, who had spent 15 months living together in Dokur, getting to know the people and coming to love the families. Each time Swathi or Vidya would walk into a home, a chorus of “Welcomes” began. This hospitality and warmth did not just extend to Swati and Vidya, but many families excitedly welcomed Dora and I into their homes. At the first house I went to, the whole team showed up. Vidya and Swati were greeted by massive smiles and hugs from every member of the family, from three beautiful children to a married couple to the grandmother. Swati and Vidya introduced us to everyone, then Vidya and I got started on our interview. Though I was a little apprehensive about asking people to recall what they had eaten for the past few days (which is not the easiest task. I barely remember what I ate last night! ), I was surprised at how readily people gave me their time to answer our questions. Even though this family was busy with children and plenty of work, they still took the time to welcome me in and answer my questions. People were familiar with the project we were doing and were ready to help us. After the interview, I wasn’t sure if we would come back to visit the family before we left or not, but then they invited us to dinner! This family owned ten chickens and wanted to use one of them to welcome both old and new friends into their home. I chatted with the youngest daughter, who taught me how to say “chicken curry very good” in Telugu. When I muttered out “Kodi kura cala manci” in my thick American accent, the mother of the family laughed and told me I should stay forever. 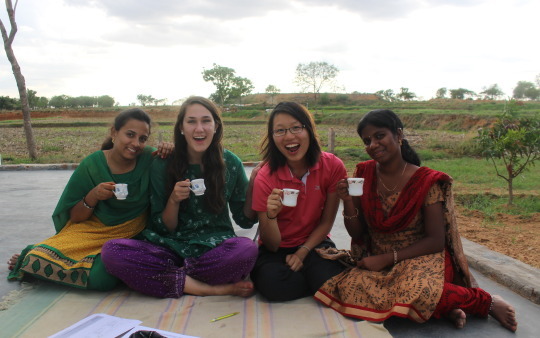 Sitting on the floor, eating with my hands, and learning a little Telugu made me feel almost like part of the family. The generosity and warmth of this family and many of the other families I got to meet will stick with me for quite some time. Through conducting surveys for TCi, I had the opportunity to meet so many beautiful people that I would never have otherwise and learned about the kind of home I want to run in the process.